The world is your oyster when you visit Margaret River, offering up a wealth of spectacular scenery, fun activities, boutique hotels and lip-smacking cuisine, fine wine and fun breweries. Get ready to experience the best of this Western Australia gem. If you’re not native to WA, the first leg of your journey will be to fly into Perth Airport and from there it’s a 3-hour drive south either by car or bus. For a relaxed stay it’s worth spending a night in Perth itself so you awaken re-energised for the rest of your trip. COMO The Treasury is a great spot to stay before starting the drive south. 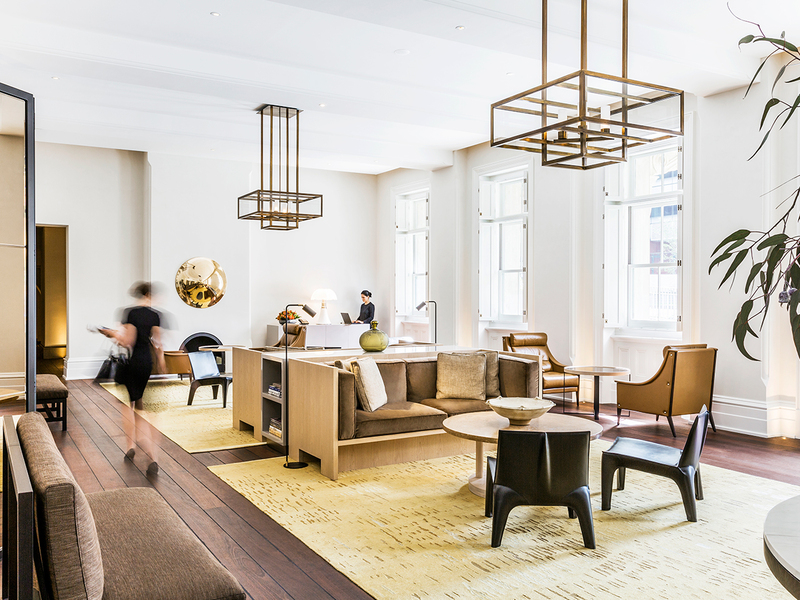 Located in the centre of Perth, just 35 minutes away from Perth Airport by bus or car, this historical building has undergone a dramatic facelift to become one of the leading luxury hotels in Perth. From the restored high ceilings down to the fine Egyptian cotton sheets, everything at COMO oozes high-end design. Iron out any cricks and stiffness from the flight with a massage at the ​COMO Shambhala Spa and dine at the impressive rooftop Wildflower Restaurant with sweeping views of Swan River. It’s the perfect start (and end) to your trip. Go caving with Koomal Dreaming: From a self-guided tour of Mammoth Cave to abseiling into the deep cavern of the Jewel Cave, no visit to Margaret River is complete without at least one cave exploration. For a mesmerising culture hit that will stay with you long after your trip has ended, learn the Dreamtime story behind Ngilgi Cave with a Koomal Dreaming Tour – proof that some of the most magical Margaret River activities occur below the ground. Walking through the limestone chambers and stunning rock formations, you’ll be transported back thousands of years as you hear Koomal (the traditional name of Wadandi man Josh Whiteland) relate the Dreaming legends and deliver an enchanting didgeridoo performance. Explore natural wonders with Eco Adventures: The natural beauty and diversity of Margaret River is virtually unparalleled, with the stunning national parks well worth a day of your time. To cover the most ground in an eco-friendly and fun way consider the unique Eco Adventures Quad Bike Tour. Suitable for all ages, the electric and silent bike will see you cover 18km of pristine forest in less than two hours with your experienced guide Gary, revealing plenty of hidden gems as you go. Gary delivers engaging and passionate presentations by way of iPads so you get full advantage of his local knowledge and passion for the natural and living history of the region. You’ll learn about what there is to see in Margaret River – megafauna, shipwrecks and extinct animals all make for engaging topics. 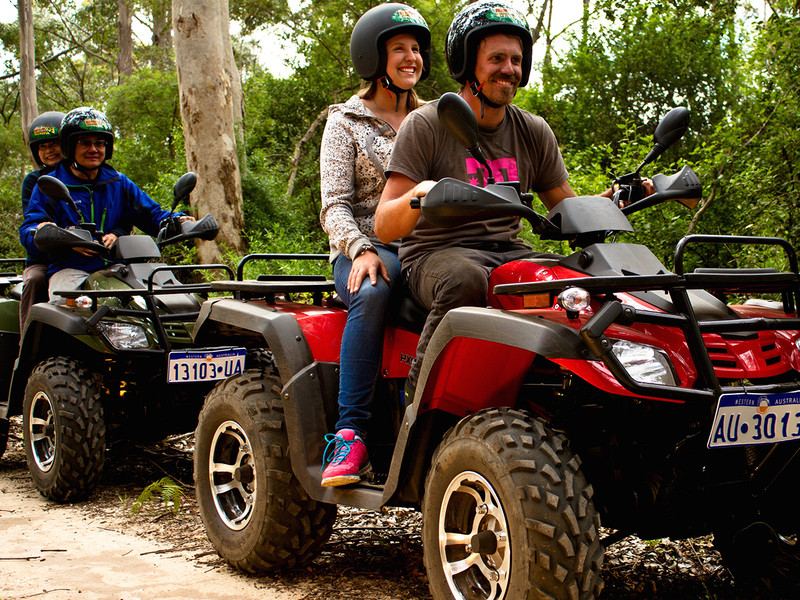 Get active with Margaret River Discovery Co: Touted as the “tour for people who don’t do tours” Margaret River Discovery Co is perfect for those who want to see the best the region has to offer. From canoeing along the Margaret River to visiting waterholes and strolling the coast’s impressive beaches, it’s a jam-packed day full of fun. Margaret River Discovery Co limit their groups to only six and have you travelling in style in their fleet of luxury 4WDs. You’ll get to know the secrets behind the region’s world-class wines at Fraser Gallop Estate, where the group stops for lunch. Dolphins, sharks, whales, kangaroos, eagles and wildflowers are all seasonal visitors to the territory you’ll cover, so you never know who might be accompanying you on your tour. Stroll world-class vineyards with Wine for Dudes: If you’re in the market for a weekend of gastronomy and decadence then Margaret River has plenty of places to visit. With a reputation for producing some of the country’s best beers, wine and food, you’d be hard pressed not to get a delicious taste or two on your trip. Don’t let the name deceive you! Wine for Dudes’ signature tour encompasses Margaret River’s wine, food and beer in a relaxed, fun and informative setting. 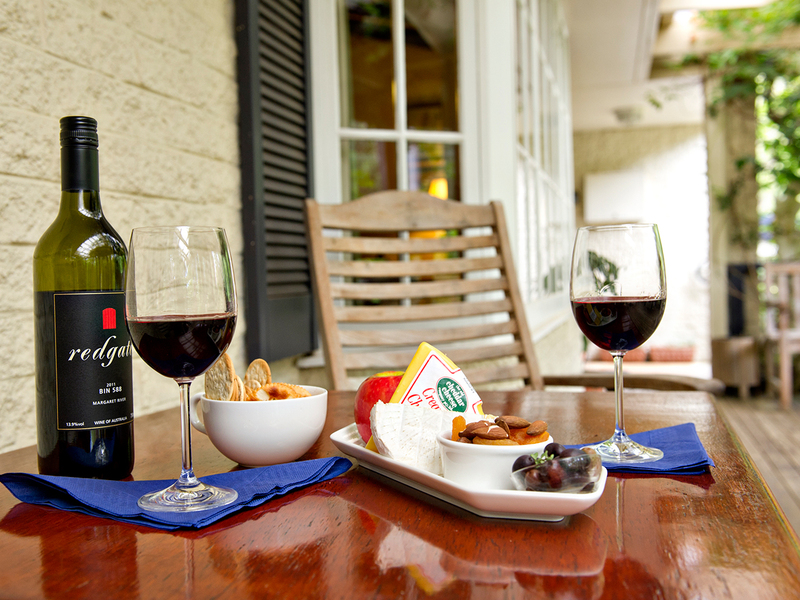 Make new friends as you sip and swirl ruby reds and crisp whites at boutique family-owned vineyards. You’ll also get the chance to try some goodies from the area’s chocolate, cheese, olive oil, venison, coffee and nougat suppliers before raising your foamy beer glasses at a micro-brewery. The Margaret River region is vast, encompassing huge tracts of native forest and kilometres of beaches, studded throughout with famous vineyards and magical caves. The Margaret River township, on the other hand, is small, charming and the perfect place to base yourself before heading out on the day trip of your choosing. Rosewood Guesthouse: This glorious countryside B&B is a nostalgic flashback to a bygone era. Conveniently located in town, it’s an easy drive to the area’s prime tourist attractions. If you’re feeling fancy, Rosewood’s hosts Jane and Keith will even charter a 1956 Rolls Royce for a day out in style. The generous breakfasts full of of quality local ingredients are sure to set you up for a day of caving or wine quaffing. Complete with cosy rooms, this B&B ticks all the boxes for a quaint and comfortable stay for couples. Margarets Forest Holiday Apartments: With the local café strip on your doorstep, staying at Margarets Forest Holiday Apartments means you can be up and at ‘em in no time, exploring caves, basking on a beach or hiking a nature trail. The spacious, modern apartments are ideal for families looking for a home away from home, complete with kitchens and a patio with a barbecue. The expansive property extends out the back, with plenty of space for the kids to run around while you relax on your balcony with a glass of Margaret River Chardonnay. Even if you don’t have a car you can still get out in nature, simply stroll downhill to explore the river and forest for inspiring nature walks and cycle paths. 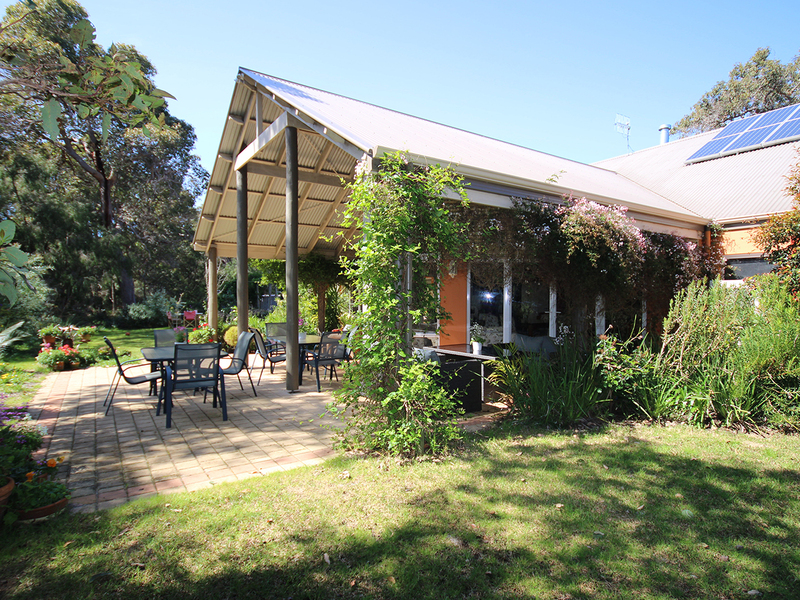 Margaret River B&B: If you’re after something more secluded, Margaret River B&B is situated in the peaceful Australian bush, but still only ten minutes’ drive from the conveniences of town. Beyond waking up to native bird song and the stunning bush outlook from all four of the guest rooms, the real perk of staying at Margaret River B&B is owners Pam and Dirk’s local knowledge. While you soak off the stress from your journey in a spa bath, they’ll be busy designing you the perfect itinerary matched to your wishes. The B&B also runs nature tours to see even more spectacular scenery. The continental breakfast heroes local produce, complete with seasonal fruit, Margaret River Dairy Company yoghurt and homemade bread, muffins or scones.